In the UK we’re having all kinds of fun with what can be deemed offensive enough to be illegal (go freedom of speech!) and I wholeheartedly agree. Most times, offense is not given, it’s taken. Oh, and I’m stealing that form. it rocks. 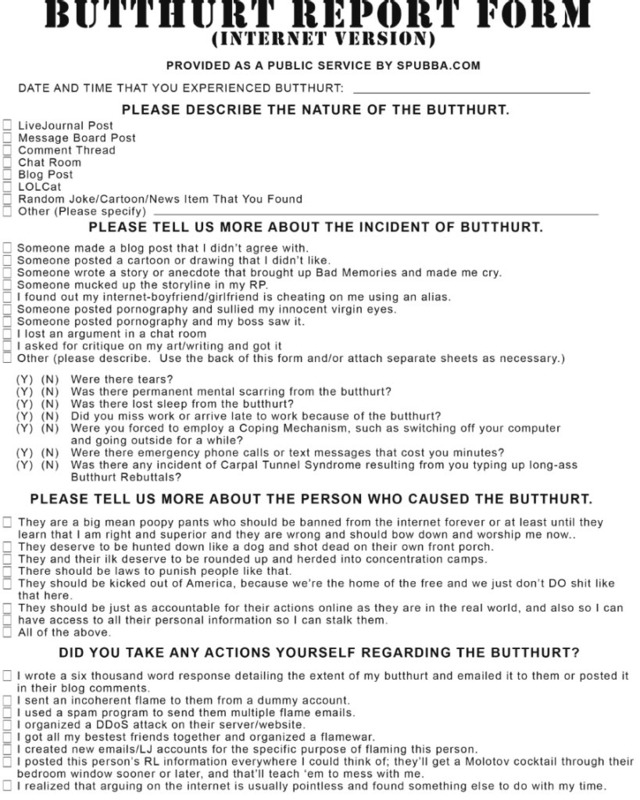 The butthurt form? It is excellent, ennit?